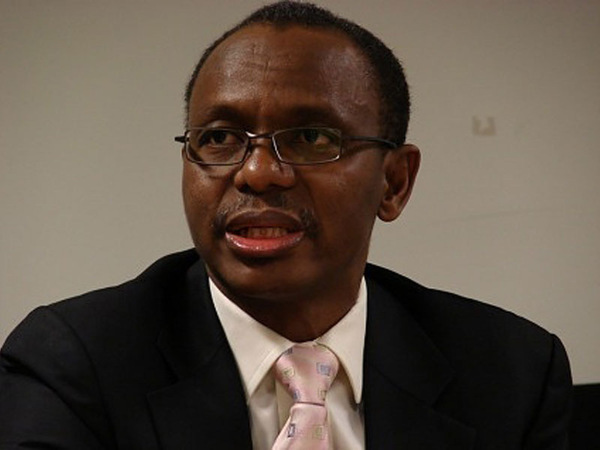 Nasir El-Rufai: Electoral Reforms (1) – To be or not to be! The flaws in the electoral system are known to almost every politically conscious Nigerian. Massive bribing and rigging, thuggery, insecurity during elections and the incompetence of the Independent National Electoral Commission (INEC) in delivering its mandate are some of these problems. The legitimacy of any government can only be derived from the will of the people as expressed in credible, free and fair elections held at regular intervals on the basis of universal, equal and secret suffrage; which explains why the critical importance of free and fair elections along with credible electoral process in any modern nation cannot be overemphasised. This is underscored in one of the most important books I have read in recent times: Why Nations Fail – The origins of power, prosperity and poverty by Daron Acemoglu and James Robinson; where the authors quoted Mohammed ElBaradei, the former director of the International Atomic Energy Agency as having written that: “In Tunisia, repression + absence of social justice + denial of channels for peaceful change = a ticking time bomb”. Clearly, Nigeria can be substituted for Tunisia and the truism of the equation would remain just as valid! Elections in Nigeria began from the colonial era with the Legislative Council elections in Lagos and Calabar in 1923. Other elections also took place between 1951 and 1959. During the military interregnums, three elections took place; 1979 with the Murtala-Obasanjo regime, the 1992-1993 elections under Gen. Ibrahim Babangida and the 1999 elections conducted by Gen. Abdulsalami Abubakar. According to an analysis of these elections by the EU Election Monitoring Group in its 2003 Report, the elections of 1959, 1979, 1993 and 1999 were the most free and fair while those of 1964 and 1983 were adjudged to be the most violent and chaotic. The reasons are obvious and not farfetched: the former were ‘transition’ elections to hand over power to civilian governments by the military with minimal vested interests while the latter were ‘succession’ elections laden with enormous political interests. It is trite to state that all elections conducted in Nigeria have been characterised by malpractices to various degrees. Since the current republic began in 1999, every election seems to be worse than the one before it. In 2003, the elections led to a loss of about 100 lives with many more injured. The 2007 elections were characterised by massive rigging and violence with results being declared in many states before the arrival of ballot papers. They were bad enough for the main beneficiary – late President Umaru Musa Yar’Adua to publicly acknowledge as such in his inaugural speech shortly after being sworn into office; along with a solemn promise to the nation that rigorous electoral reforms would be embarked upon to address the patent malpractices. To this effect and credit of Yar’Adua, an electoral reform committee with respected former chief justice Muhammed Uwais as chair was charged with the task. That the Uwais committee did a commendable job is self-evident in the 319 pages long main report that was submitted to the Federal Government in December 2008. The introduction section of the report, inter alia states that: “Nigeria’s experience with democratic elections since independence has been rather mixed. Although the country has managed to transit from one administration to another, hardly any election conducted in the country has been completely free of charges of irregularities, electoral malpractices, violence and various degrees of disruptions. Political Parties Registration and Regulatory Commission whose duties are to register political parties and monitor their activities. Electoral Offences Commission which is to investigate electoral frauds and other related acts. It is also to co-ordinate, enforce and prosecute all electoral offenders. The Chairman and Board members of INEC may be removed by the Senate on the recommendation of the NJC by two-thirds majority of the Senate which shall include at least 10 members of the minority parties in the Senate. Associations seeking registration as political parties must have functioning offices in at least two-thirds of the states of the Federation. These associations must also have 20% women membership in their governing bodies. Political parties should not be allowed to receive funds from abroad. Number of voters per polling station as well as layout of the stations should be specified. Each polling station should not have more than 500 voters. Disqualification period of candidates engaged in corrupt practices should be increased to 10 years. Post-election petition periods should take a total of six months. No elected person shall assume office until their case in the tribunal is disposed of. The police should be trained specially for elections. INEC should be composed of a board which formulates electoral policy and a professional/technical election management team to manage elections. State Independent Electoral Commissions should be organised in the same way as INEC. Elections for President and Governors should be held at least six months before the expiration of their terms. It is regrettable that almost four years after the submission of the foregoing excellent recommendations, not much has changed in our polity. But please do not take my words for this. The Economist Intelligence Unit’s Democracy Index measures the state of democracy in 167 countries throughout the world. The Index was first produced in 2006 and it ranked countries on a scale between zero and 10, based on 60 indicators that were grouped in five categories: electoral process and pluralism, functioning of government, political participation, political culture and civil liberties. According to the latest issue of the Index for 2011, whereas in 1945 the world only boasted of 12 democracies, it now boasts of 115 in three different classes of 25 full democracies, 53 flawed democracies and 37 hybrid regimes; with the remaining 52 countries being in the bottom of the pit class of authoritarian regimes as to be expected. In the class of full democracies, it ranks Norway first with a total score of 9.80, keeping its position from 2010, when it replaced Sweden as the highest ranked country; whilst North Korea scored the lowest with 1.08, remaining at the bottom in 167th place, as in 2010. Back home, in spite of the self-acclaimed “free and fair elections” that the Jonathan administration conducted in 2011, it did not come as a surprise that Nigeria is in the authoritarian regime class with a score of 3.83 and a ranking of 119; just behind Russia with 3.92 and 117 respectively. Meanwhile, Ghana is justifiably ranked way ahead of us at 78, in the class of flawed democracy with a score of 6.02! election process not disrupted by violence, intimidation or coercion. If there is going to be any change in our nation for the better, it has to begin now! The first step will be a re-orientation of the populace. People have to believe that they have the power to decide who their leaders are irrespective of the flaws of the electoral system. They need to get more involved in the electoral process instead of sitting back and complaining. With these recommendations I believe we 'll surely build a formidable political institution that can conduct a free and fair election in nigeria. Well done RUFA'I.